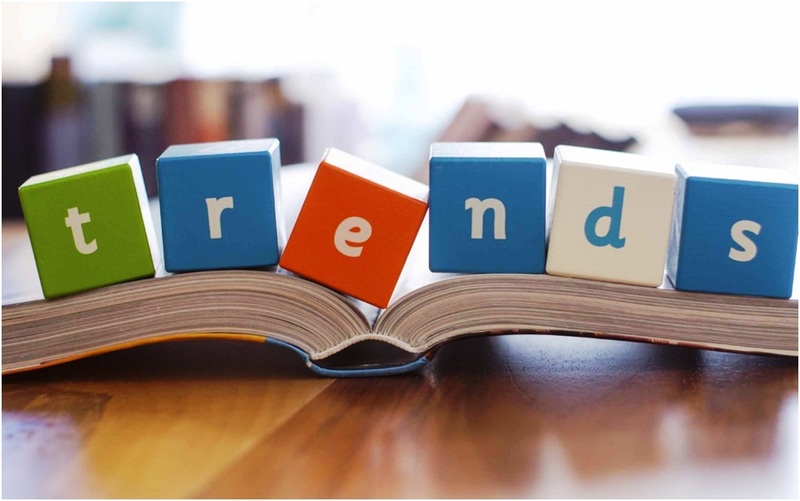 Analyzing The Top Five HR Trends . Some companies seem less gung-ho to ditch annual performance reviews than they were a year ago HR leaders are sizing up a handful of challenges that they weren't yet facing in the early days of 2016. Over the next 12 months the solutions to those obstacles will have to evolve and adapt as the overall business world does the same. Still, it's worth taking a look back at what's changed in the past year in order to see what's in store for human resources professionals in 2017. These are five of the biggest trends impacting the field right now. 1. MILLENNIALS ARE NO LONGER THE NEWBIES All the fuss and bother over the past few years about integrating Millennials into the workplace is officially outdated. It's now time to welcome in the next generation. In 2017, the oldest members of generation Z will be turning 21-23 (there's some debate as to whether the new generation begins in 1994 or 1996). In the meantime, those on the older end of the millennial spectrum are already in their mid-30s. Many have been in the workforce for over a decade, having served as managers, VPs, startup founders, and CEOs for quite some time. Gen Zers, on the other hand, are now just starting to enter the workforce as interns and even entry-level employees. This will present new challenges for HR leaders looking to figure out how (and even whether) this new generation brings something fundamentally different to the workplace, and what it may take to prepare Millennials to lead them. 2. CULTURE AND ETHICS GET A MUCH-NEEDED REFRESH A string of ugly scandals in recent years has hit companies like Zenefits, Wells Fargo, ANZ Bank, Mitsubishi, Volkswagen, Toshiba, and others. What they have in common is that all have been attributed, in one way or another, to a toxic work culture where unethical business practices were encouraged. In most cases, impossibly high standards set by executives and upper management led employees to cut corners (or worse) to reach them. It may be discouraging that it takes a spate of scandals and scientific research to come to that conclusion, but it's probably a good lesson for companies to reckon with in 2017 all the same. HR leaders and executives have been talking more regularly about culture in recent years, so some shifts in the right direction may already be underway. But what's also clear is that creating an ethical work culture requires companywide input-it can't just come from the top. This year, businesses that care about that may look to their HR teams to find ways to have those conversations with all of their employees more meaningfully and more often. 3. SOME HAVE SECOND THOUGHTS ABOUT DITCHING ANNUAL PERFORMANCE REVIEWS In 2015 and 2016, a number of big-name companies-including Deloitte, Adobe, Accenture, GE, and more recently SAP-announced plans to leave behind the annual performance review. This led many others to follow suit, making the last few years all about breaking with the old. We're now roughly a year into that movement, and it seems to have slowed. Not every company that vowed to kill annual reviews has seen the results that switch was supposed to provide. In fact, some have actually found that employees' performance and engagement dropped as a result. Getting rid of outdated systems isn't always enough, it turns out. Companies are also realizing they need to design a strong alternative in order to make the transition successful. This understanding means we'll likely be seeing HR leaders spend more time on data collection and change management in 2017. These days, performance management is an information game. 4. PAY AND PERFORMANCE DECOUPLE One knotty question these same companies have run into is what to do about pay. Should firms that swap a traditional annual review for continuous and/or peer-based performance evaluations keep making compensation decisions the way they used to? And for those that have reformed (or trashed) their employee ranking systems, how do you then calculate pay fairly and competitively? Traditional job descriptions are going out the window. As 2017 gets underway, some HR professionals are coming around to the idea that linking performance management to compensation can actually undermine the intended purpose of ditching the annual review-to create a more learning-based approach with increased feedback conversations. The solutions are still evolving, but there are already some ideas being tossed around about how to separate pay from performance and get the desired results. In a survey last year, businesses told Deloitte researchers that the top issue they faced was in redesigning their organizations to fit this new reality, with 80% saying they were currently restructuring or had recently completed the process. One trend we're already seeing, as a result, is the spread of cross-functional, ad hoc, and steering teams-which in many cases replace or supplement the work of a traditional, full-time team of people all working onsite together in the same department. Similarly, traditional job descriptions are going out the window. These new types of teams are utilizing the full skill-set of each employee, rather than limiting them to a narrow range of tasks and skills demanded by a conventional department. This means that an employee with a passion for PR and a talent for graphic design may be able to do both as a project's needs evolve. Some call it the rise of "comprehensivism." For HR leaders, performance management will need to become more fluid as a result. Whether or not a given employee has one manager, several, or none at all, they still need to get feedback-including, increasingly, from their peers-in order to keep learning and improving. To do that, they'll also need to feel free to ask for it from whomever (and whenever) they want. The shift toward self-steering learning and development is already underway, and it's up to forward-thinking HR professionals to smooth the way for it. Culled from staff company by Steffen Maier.